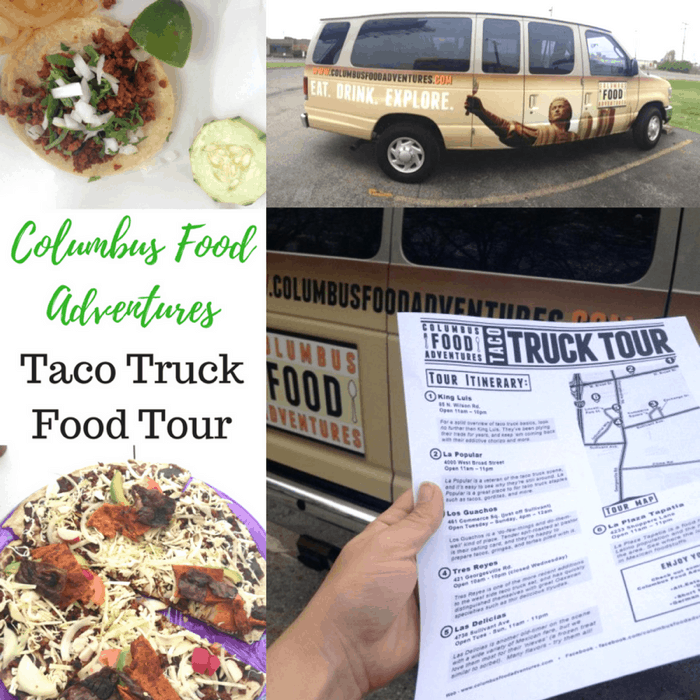 I joined Heather from The Food Hussy on a Taco Truck Tour with Columbus Food Adventures in Columbus, OH. I was excited about this for multiple reasons. Mainly because I LOVE Mexican food, taco trucks and any meal that I don’t have to cook. Bethia Woolf started Columbus Food Adventures out of a passion to share the incredibly diverse variety of foods that Columbus offers. 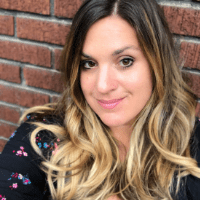 She started with a food blog (Taco Trucks in Columbus) that highlights popular and lesser-known eating establishments in the area. She has taken her expertise and developed tours that give locals and tourists and insider’s guide to the best places to eat in the city. 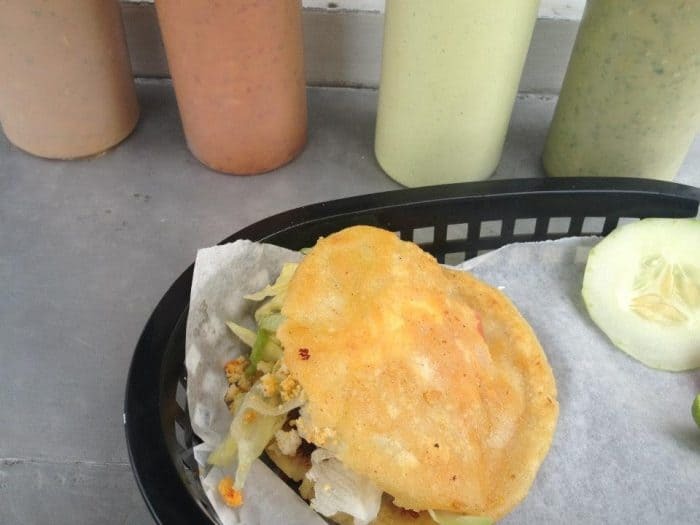 The Taco Truck tour is really popular because there are over 40 taco trucks in the city. Our tour began in the parking lot of an aquatic center and began with intros and a brief overview of our tour. You should also note that Bethia has an awesome accent. You don’t have to worry about driving because transportation is taken care of in this 15 passenger van. 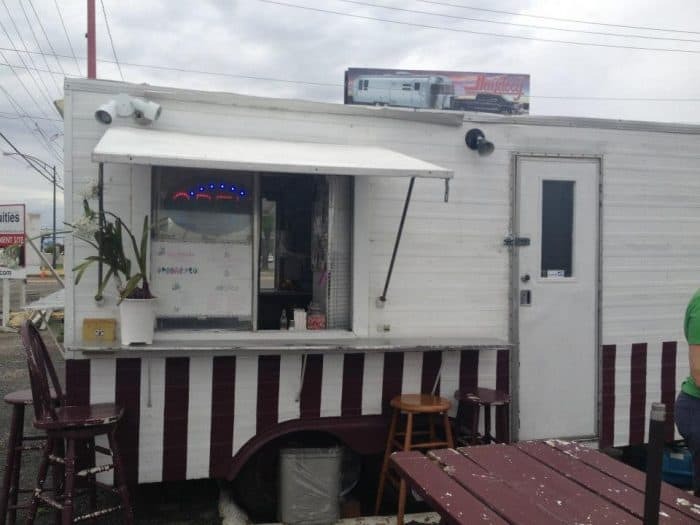 Our first stop was the King Luis truck. 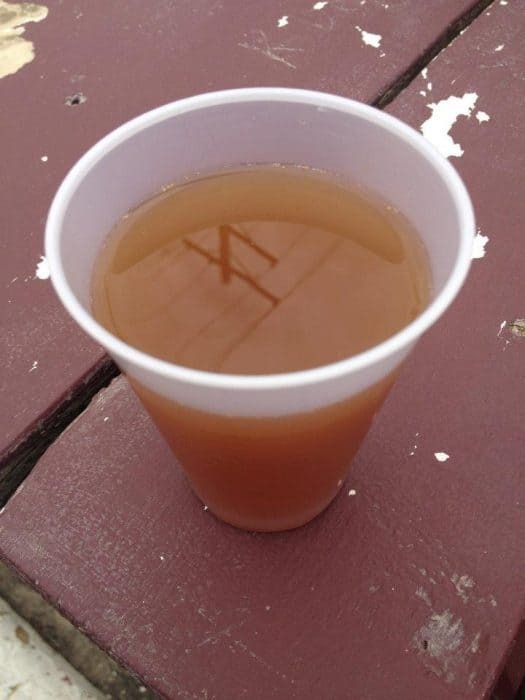 Each of the stops on our tour had a specialty that we got to sample. 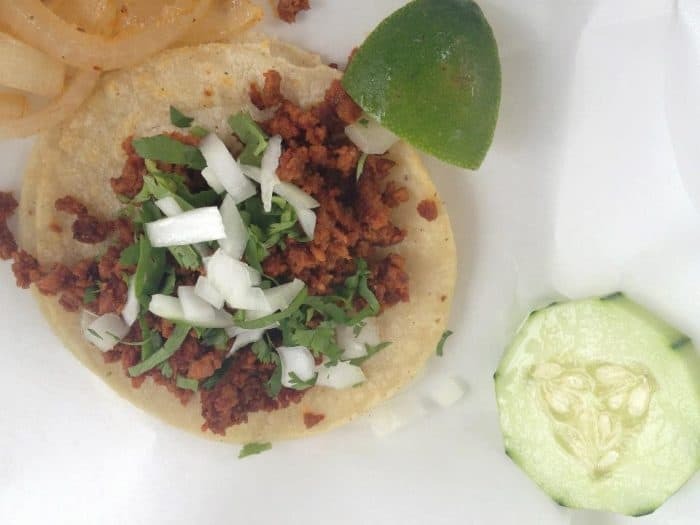 We tried a taco with chorizo. It was really good! Don’t ask me if it was too spicy because I LOVE spicy food and you can never have too much heat for me. 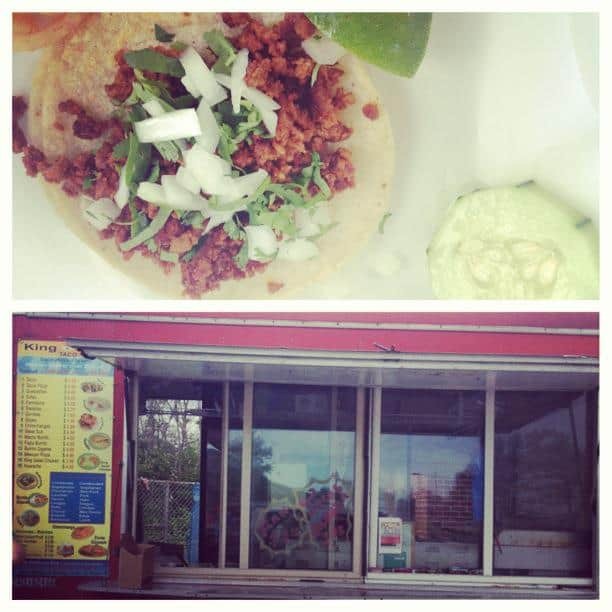 The tacos were really inexpensive at under $2. 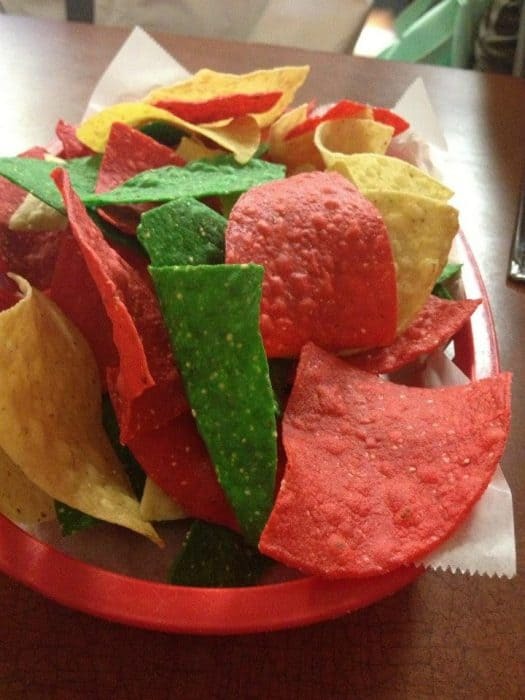 We tried the aqua fresco with tamarind which might remind you of an Arnold Palmer along with that we were served a gordita with barbacoa which is Mexican barbecued beef. This dish was deep fried to perfection and was soooo good! You also have to check out their variety of sauces on top. 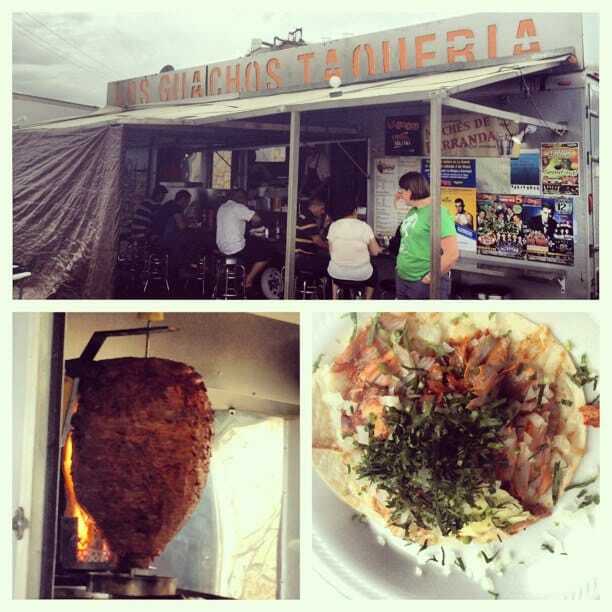 The 3rd stop was Los Guachos Taqueria which is at a nightclub parking lot. Even though it was a Sunday afternoon, this place was still busy. This stop was my favorite of the day! The pork was on a giant spit and was tender and delicious. Our pre-selected dish was the gringo with al pastor, cheese, and pineapple. I would not have put pineapple on mine by choice but I actually enjoyed the combination. 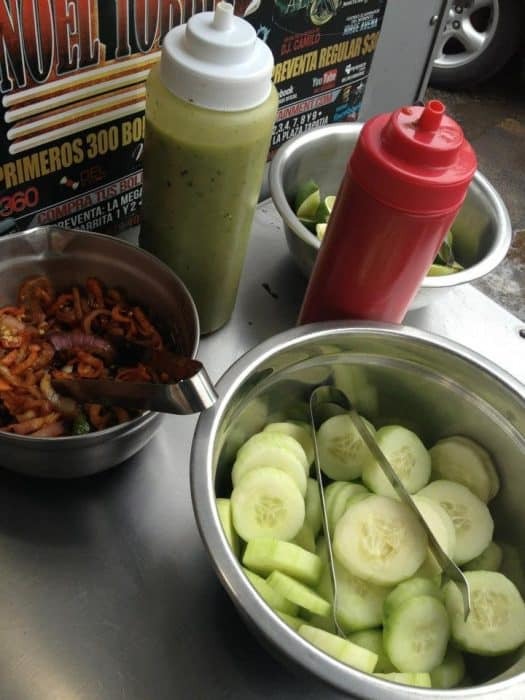 Cucumbers were also at a lot of the stops too which I had not tried on my tacos before. I’m also a big cilantro fan and there was a good amount on this one. Next on the agenda was Super Torta Truck. 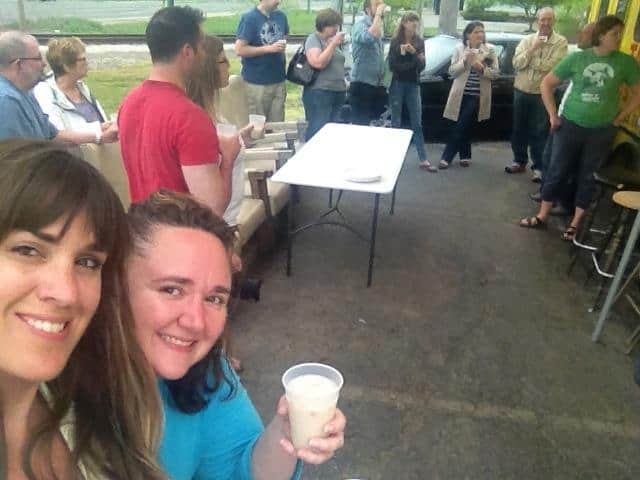 We tried horchata which tasted like an icy dairy drink with cinnamon along with tlayudas. 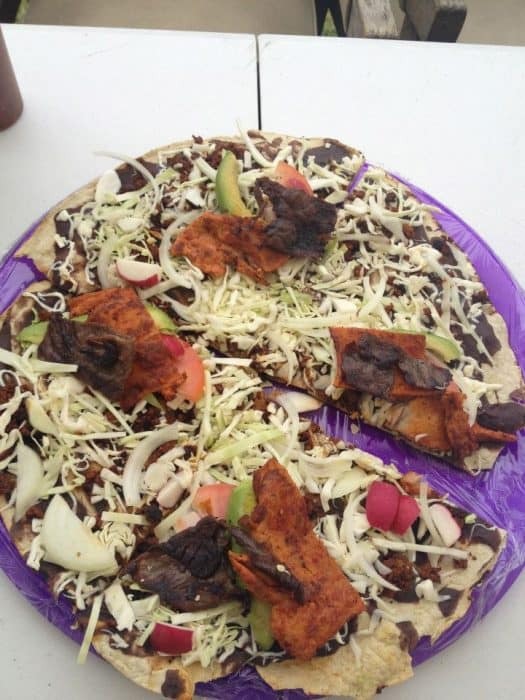 It reminded me of a giant Mexican pizza with beans, chorizo, jerky cured pork, cheese, cabbage, tomato, avocado, radish, and onion on a tortilla. It was a little more challenging to eat and it had a hard time competing with my favorite food truck of the day. We got a sweet treat at our next stop Las Delicias. 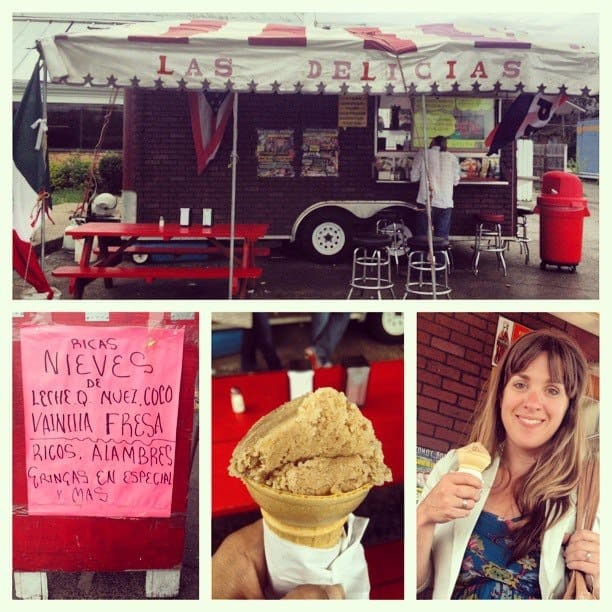 We had nieves which reminded me of ice cream but it was more icy than creamy by design. I chose the almond flavor. The other options were coconut, strawberry and even burnt milk. It was unique and I’m glad that tour gave us a variety of food options to try because I probably would not have tried several of the menu options that we experienced that day otherwise. 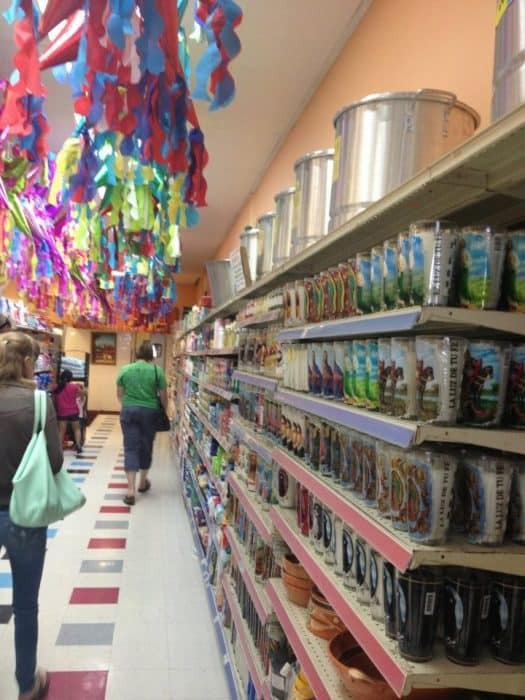 Our last stop gave us a tour of a Mexican Supermarket that had a restaurant next door. 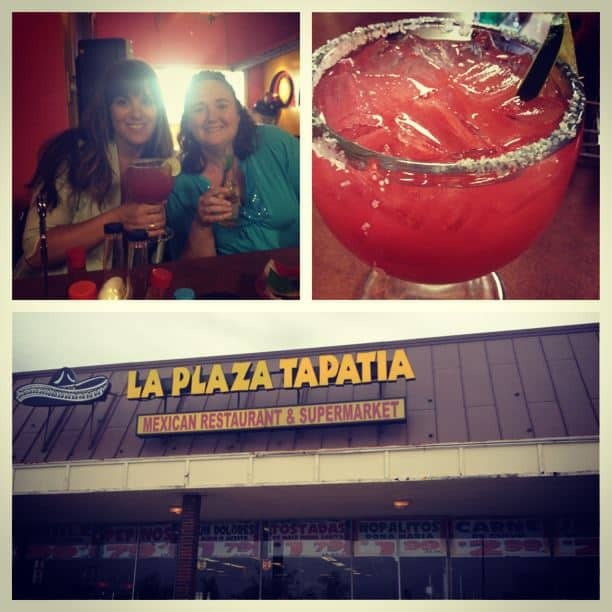 After checking out some of the interesting foods at the market, we enjoyed chips and salsa and I celebrated with a Margarita. 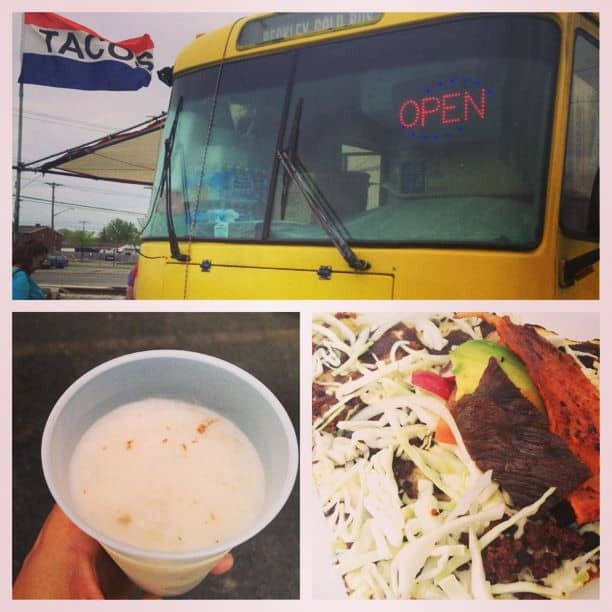 I really enjoyed the tour because it guided you through the neighborhoods and also showcased the best of each taco truck. This tour is filled with the type of information you would only know after a lot of trial and error. The guides were great and helped give me a greater appreciation of the diversity and variety of taco trucks in Columbus. 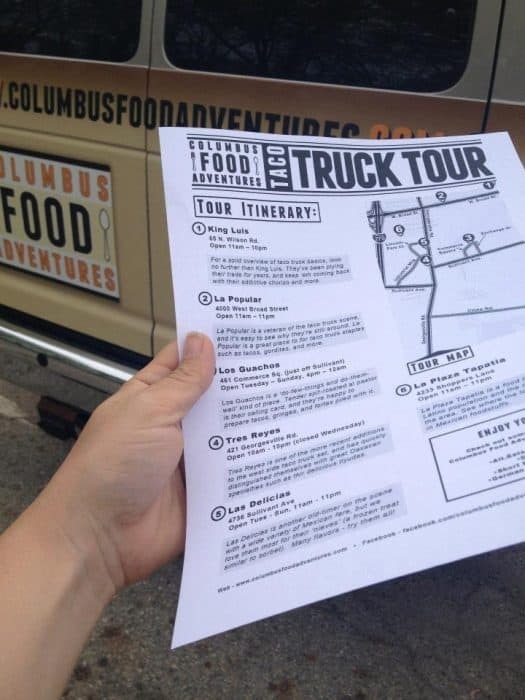 There are 8 Specific Food Theme Tours to choose from (German Village, Alt Eat Tour, Short North, Taco Truck, All Dessert Food, Food Truck, Meat Lover’s and Coffee Tour ) along with Private Food Tours that you can book so there is something for everyone. I personally would love to try ALL of them! 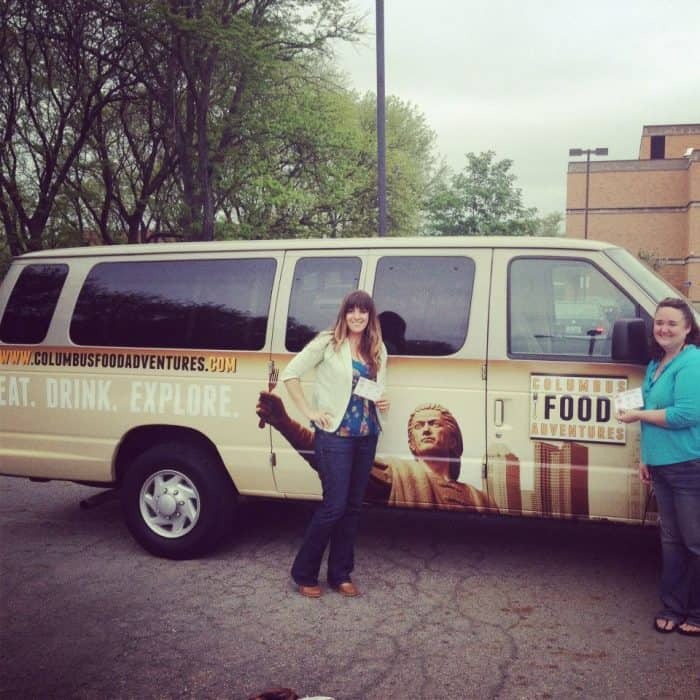 You can find out more about Columbus Food Adventures from their website. Disclosure: I was given a complimentary tour for review purposes. All opinions are my own.